The 12th edition of the 5-day biennial air show will be held at IAF’s Yelahanka base on the city’s northern outskirts as before. The Rafale fighter jets India ordered would not be ready to fly at the Bengaluru air show in February, an IAF official said on Sunday. “Rafale for India will not be ready by February. We expect Dassault to fly some other Rafale at the Aero India show here on February 20-24, 2019,” Deputy Chief of Air Staff Air Marshal R.K. Singh Bhadauria said. 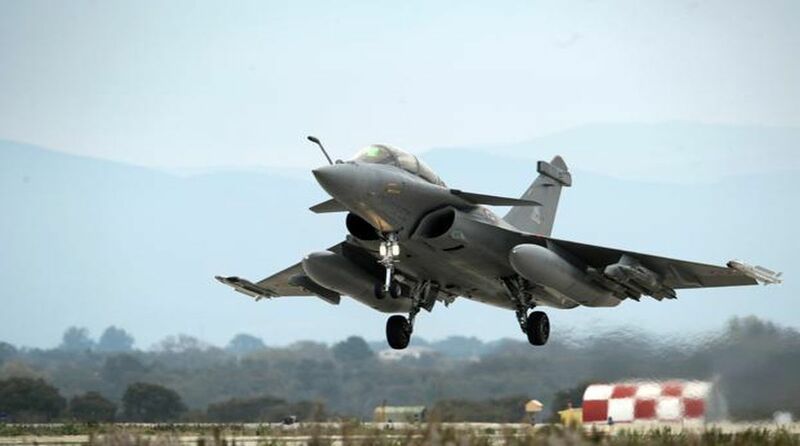 French aerospace major Dassault Aviation is set to deliver 36 Rafales multi-role medium combat aircraft to the Indian Air Force (IAF) in fly-away condition from September 2019 onwards. “We hope Prime Minister Narendra Modi will inaugurate it though the Ministry of Defence will take a call on it,” said Air Marshal Bhadauria when asked who would flag off the mega show. The state-run Hindustan Aeronautics Limited (HAL) will play a major role in organising the air show, instead of the Defence Exhibition Organisation which has been hosting the event over years, he added. The advanced fourth generation fighter Rafale will partly replace the ageing Russian-built MiG-21 jets the IAF is phasing out due to their obsolescence. The Deputy Chief of Air Staff was present at a press conference addressed by Defence Minister at the Yelahanka air base.